The internet is the internet, right? There are so many different factors that go into the ways you connect to the world wide web. As a user, you’re probably already familiar with different speeds and setups, but what does that really mean? Like most things in life, the final destination is determined by the journey. In internet speak, your final speed is determined by the path your data has to go as it travels through its connections. Some setups are more reliable than others. Certain options will undoubtedly be faster than others. One type of company may be more accommodating than the next. In the world of wireless, we pit two major players against each other: fixed-point wireless broadband and (digital subscriber line) DSL. 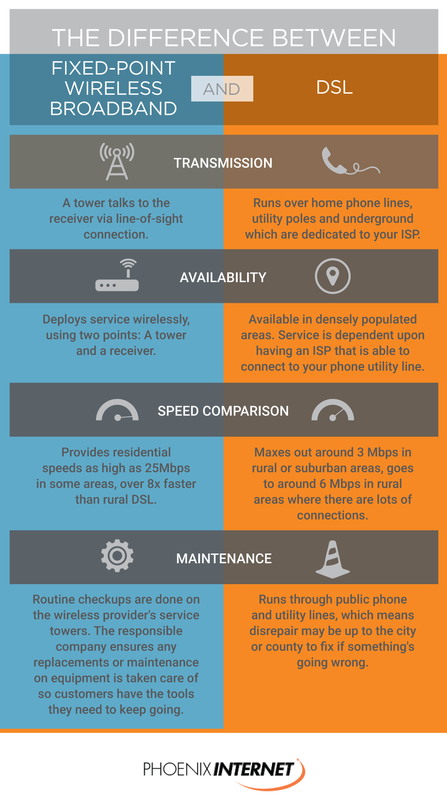 What is the difference between broadband and DSL? What is DSL internet? Is DSL Broadband? Is Broadband the same as DSL? It isn’t, and this infographic we show you why. When it comes to broadband vs DSL, wireless broadband is far superior. All things internet are not the same when you go behind the scenes. Fixed-point wireless broadband has plenty of advantages over its DSL competitors. Whether you’re looking for a secondary internet service, or you’re searching for a local broadband provider that can ensure you’re connected day and night, no matter what, you’ve come to the right place! We are here to help and can answer any questions you have. 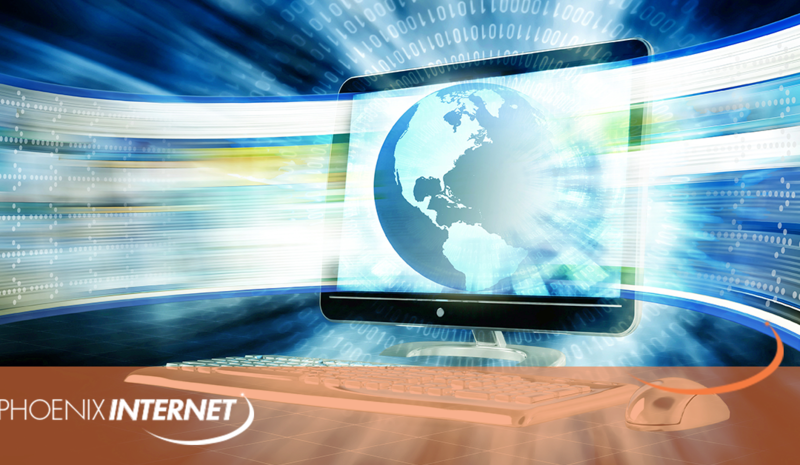 Order your Phoenix Internet service today!